Nations Press feature news BREAKING:Nearly 50 people dead after 3 suicide Bombers rock Istanbul Airport! BREAKING:Nearly 50 people dead after 3 suicide Bombers rock Istanbul Airport! Dozens were killed after three suicide bombers blew themselves up at Turkey's largest airport, Istanbul Ataturk, on Tuesday. 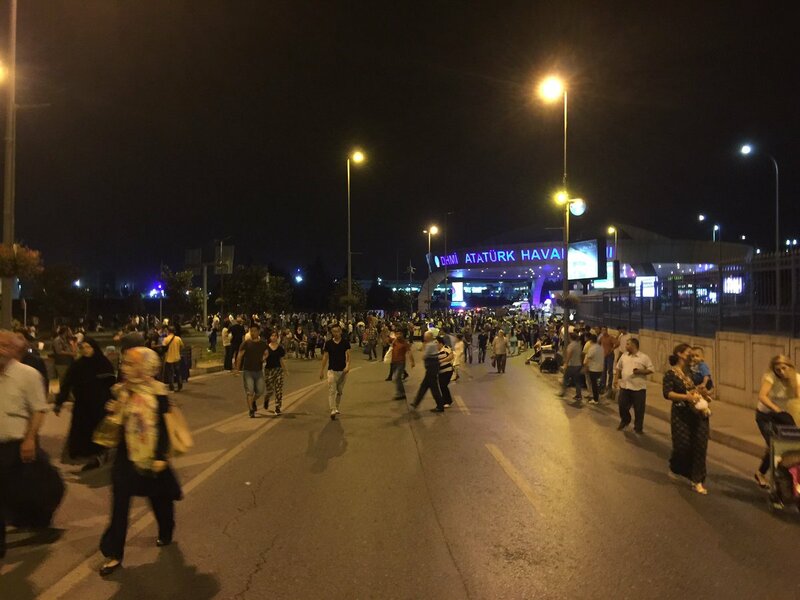 The Associated Press, citing senior Turkish officials, said that nearly 50 people have died. The attack, which occurred at around 10 p.m. local time and appeared to be coordinated, left at least 60 others injured, according to Turkey's state-run Anadolu Agency. The attackers began spraying bullets at airport guards at the terminal entrance and a shootout erupted before they blew themselves up one by one at around 10:00 pm (1900 GMT) Tuesday, Turkish authorities said. Security camera footage widely circulated on social media appeared to capture two of the blasts. In one clip a huge ball of flame erupts at an entrance to the terminal building, scattering terrified passengers. ''It was very strong, everyone panicked and started running in all directions,” one witness told. "The assessments show that three suicide bombers carried out the attacks in three different spots at the airport," Vasip Şahin, Istanbul Province's governor, said. The suspects apparently detonated the explosives at the security check-in at the entrance to the airport's international terminal as they exchanged gunfire with police, a Turkish official told Reuters.